As you may have noticed, we are not at Digifest this year. They were unable to provide space, as other exhibits took priority. While this has delayed the arcade, it has by no means stopped it. We expect to hold an amazing arcade in early 2013, thanks for your patience! Play TOJam7 classic Bomb Squad: Seconds Left Underneath my terrible guest voicework lies a game that tries to be funny... and succeeds. While a dash buggy, rather finicky, and slightly obtuse - the solid gold death scenes will keep you charmed until the end. European Rainbow Training (started life at TOJam 7), was an 2012 IndieCade Official Selection! 4 players stare down at a tablet, each with their own gravity orientation. The game is genius, and can be played at Darkcade Saturday Oct. 20 10:30pm. Toronto After Dark film festival starts today and comes with a Darkcade. 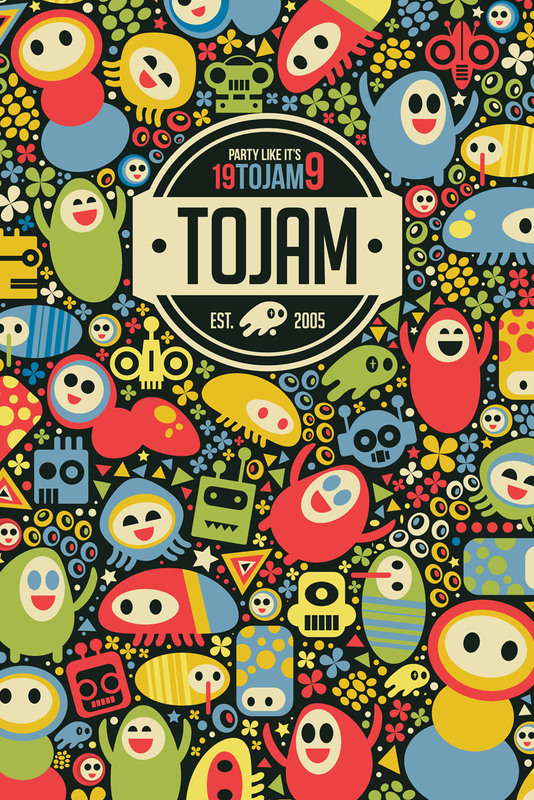 TOJam organizer Alex Bethke has put together a stellar lineup of games. Every night features 2 new games, including Lovers in a Dangerous Spacetime and Hotline Miami. Also... FILMS. Canzine Toronto is this Saturday (Oct. 21), and features Mr. Ghosty's DIY Games Room. Inside you will find 2 Torontrons (containing some TOJam gems), board games, and the outspoken yet quite talented Anna Anthropy. I'll forgive the board games. Archive, Memoria Technica (formerly Exodus), is an upcoming and rather nice looking twinstick, with a story that just might tie everything together. The devs are old school focussed, and the results are impressive. Did they learn that from TOJam? 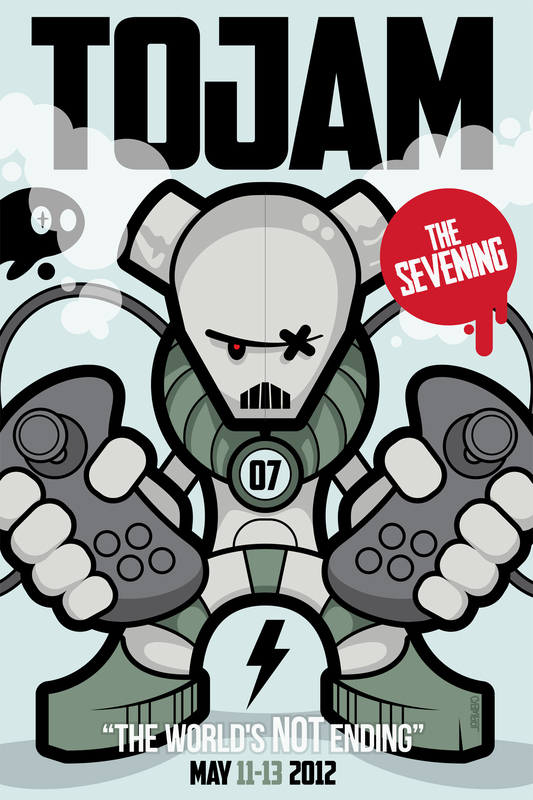 Guilded Youth, a collaboration between Jim Munroe and Matt Hammill, started life at TOJam 7. It breaks text adventure constraints (a tasteful sprinkling of colour, sound and graphics), while keeping its soul. Play it now, before it cleans up at the Interactive Fiction Competition. Little Gardens is a charming puzzle game by genre jumping, TOJam loving Michael Todd. You try to fit a bunch of tetris shaped pieces into a grid, forming a living garden. JayIsGames loved it. If you're a fan of puzzle games, that's all you need to hear. Tower of the Gorillion, borned at TOJam 7, is waiting for your vote on Steam Greenlight. Unique gameplay, dense pixel art, nostalgia modernized. Don't take my word for it, play the demo. TOJam pillar Steven Circuiton has the proven ability to make this something seriously special. Have you seen Probablity 0 + Friends? It's a stark "rogue" platformer that doles out rewards beyond measure - if you can handle them. While I can't, the laser sharp controls ensure I keep trying. Friend Pirattitude (from TOJam 6), was a multiplayer favourite at Gamercamp. Beat Brawler's aesthetic is slightly off and slightly disturbing, in a way you can't plan for. It reminds me of Muscle March, which means you're immediately buying this when it's released, or running for the hills. Did they learn that from TOJam? I'm assuming you bought They Bleed Pixels, Home, DYAD and Sound Shapes. Each one a labour of love, each one made in Toronto, each one pursuing a unique vision. It's hard to believe they were all released in the last 4 months, and easy to believe some couldn't attend TOJam. Did you know that GetSet's Derek just had a baby, Nick is going to have a baby, and Rob & Tessa are getting married (to each other)? Everyone's growing up! Fact: Serena is the cutest daughter I ever had. TOJam 7, thy art DONE. We filled 2 floors with 410+ people making games. 410 people are building games... that's A LOT OF GAMES. There are photos! TOJam photographer Angela Lau is speedy! There are screenshots of work in progress! Can Saturday hope to compete!? 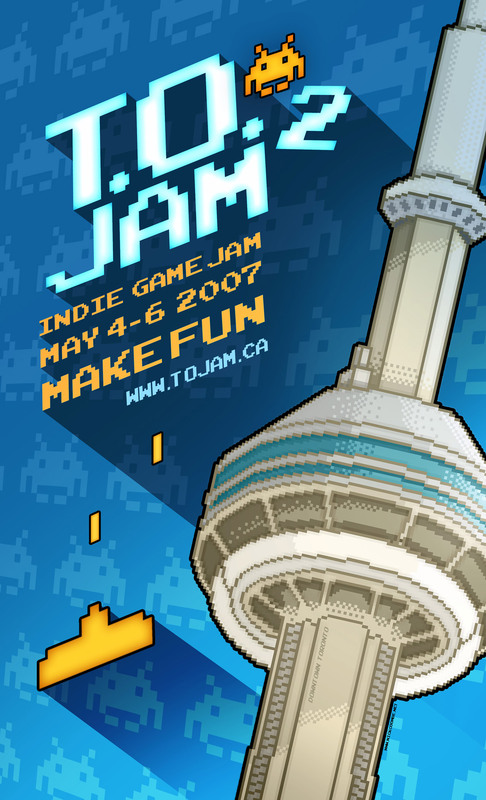 Follow @torontogamejam or #tojam and be amazed. 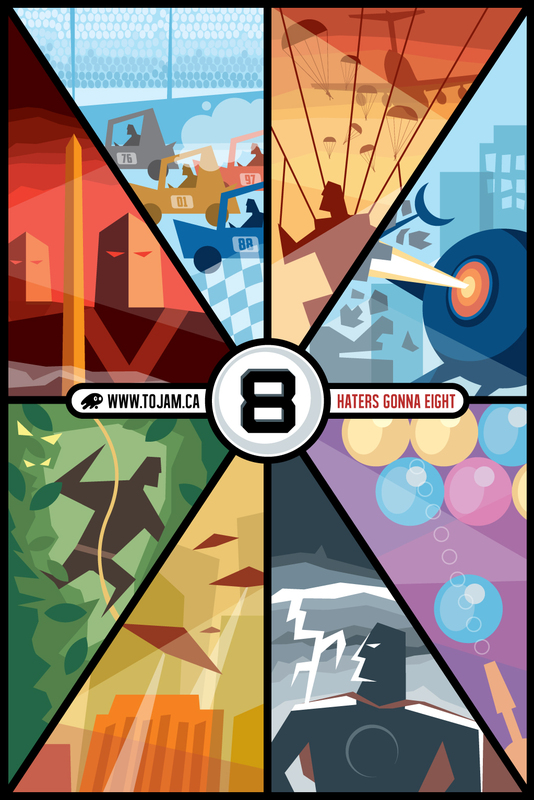 Follow the action at #TOJam. We're currently working on a tumblr of in-progress screenshots and intense trivia questions. Watch this space for shenanigans, sponsors and perhaps even hijinks. 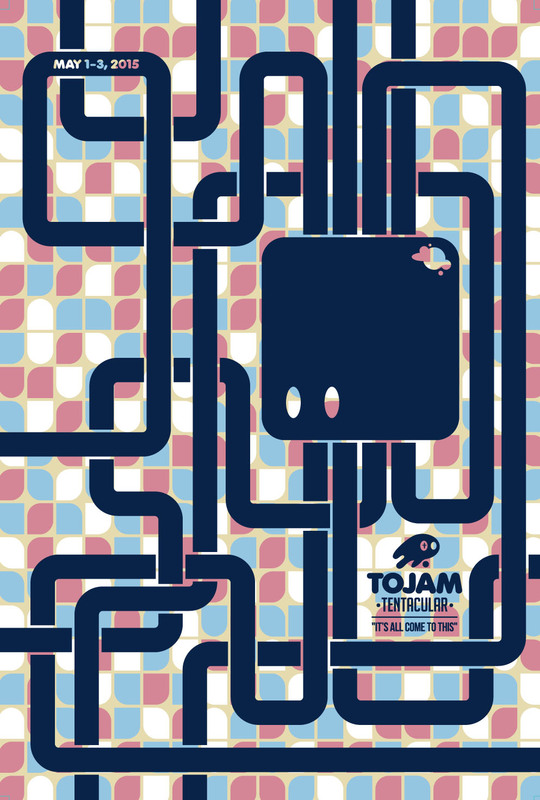 More than 400 people have registered for TOJam7 - it took only 3 days. That's mind boggling, humbling and terrifying. While you can still register, you'll be placed on a waiting list. 200 Registrations in 12 hours! Hope you dig the theme - we voted on it. The Theme has been announced! Registration goes live today @ 10:00pm. Detailed Schedule has been posted. Details section has been updated. George Brown College will be hosting once again (342 King Street location). We love those guys! Their new location can comfortably fit 400 game makers - so that's our goal. Registrations should go live mid-April, and we'll announce everything loudly (twitter, e-mail). Look forward to seeing you! In the meantime, I just posted all the photos and afterwords from TOJam Sixy. Enjoy! 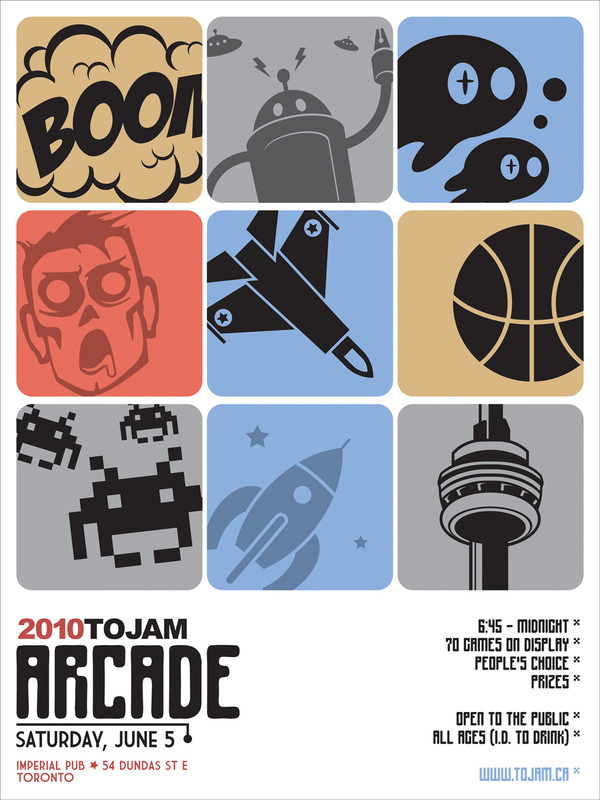 Our good friends at IGDA Toronto are holding a TOJam Pre-mortem and Matchmaking Event on April 19. If you're new, this is a perfect opportunity to meet people and form teams (beyond floaters, TOJam offers no such service). Sign-up for IGDA matchmaking now! Thousand-yard stare? Perfect opportunity to brainstorm, wax nostalgic about the CBC building, and drink things. While we managed to avoid student exams, TCAF, Victoria Day weekend, and Anime North... you will need to choose between TOJam and your Mom. Super Time Force unbelievably started life at TOJam. It looks incredible, has earned an XBLA slot,	and Raigan likes it! I'm so very glad Capybara is in Toronto. Ponycorns was created at TOJam, and melted hearts everywhere. The father-daughter team of Ryan & Cassie (5 years old!) was irresitible, and the game utterly charming. An IndieCade 2011 finalist, and the basis of Ryan's stellar GDC 2012 presentation. DYAD is on the verge of release. A singular vision polished beyond reason, currently inspiring maniacal previews. An amazing achievement, from a TOJam survivor. They Bleed Pixels looks, plays and feels even better - how is that possible? The devs are TOJam royalty, and their bonus levels are genius. Miguel recently created Russian Subway Dogs, 'cuz he's just that good. Seraph starts fast and gets faster. A refreshing little arcade ditty, worthy of the tiny app store price. The devs are TOJam legends, and super nice guys to boot. 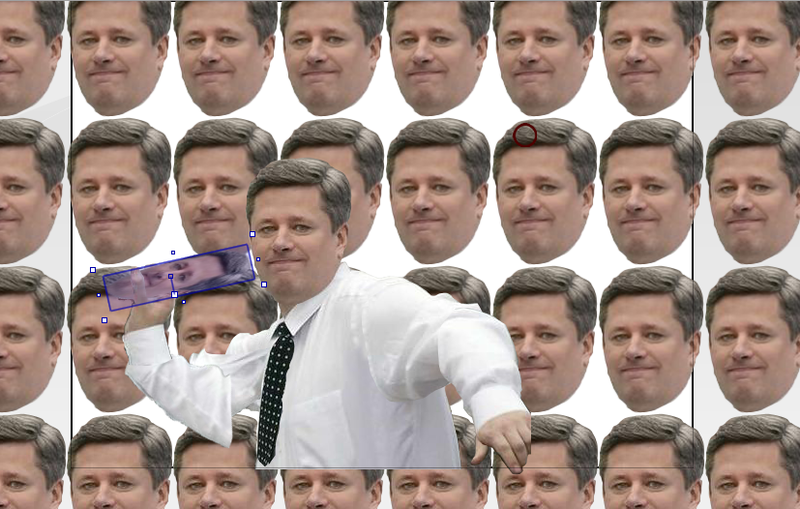 The Hand Eye Society's Torontrons continue to spread jam. Airshot Scott was reworked for a trackball, "Seeds of Descent" found a perfect home, and A Friendship in 4 Colours redefined co-op while staying Canadian. Luis Hernandez co-created HoneyPunch at TOJam 6. Now he is mastering Unity lighting, while demanding sensory deprivation. After creating 2 subtly genius TOJam games, Stephen Ascher broke out the bratwurst, invented hoopsnakes, then lost his mind.